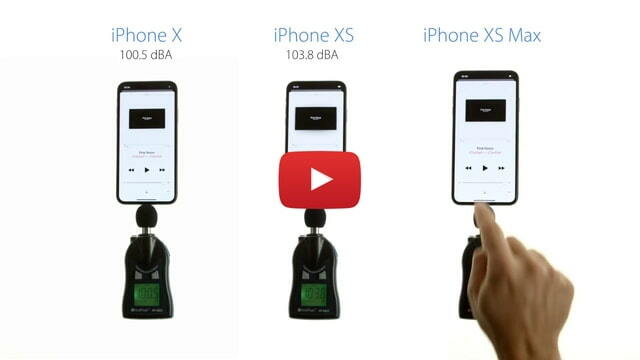 In the video below we use a sound meter to compare the speaker volume of the new iPhones to last year’s iPhone X. We took the reading by placing the sound level meter directly under the Lightning port and by placing the meter midway along the side of the device. Getting an accurate sound level on the iPhone is a little tricky as one speaker is positioned at the bottom of the device and the other is in the earpiece. Take a look at the video below. A reading 10 dBA higher is about 2x as loud. It’s the clear the new iPhone XS is significantly louder. Have you noticed a difference in real life? Let us know in the comments!